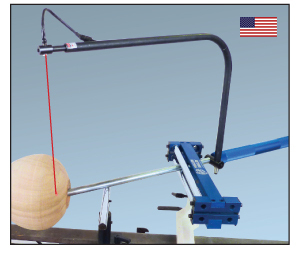 This laser system from Carter fits the Hollow Roller System. It allows the Hollow Roller to make accurate thin walls on vessels and bowls. It features a compact design, quick settup and removal and easy adjustment. Uses 2 AAA batteries.